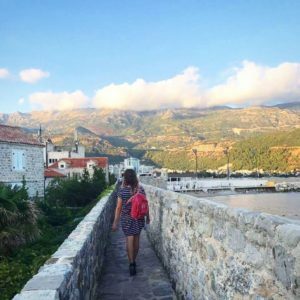 Budva is a glorious little medieval town balancing on the Adriatic coast. It attracts plenty of tourism due to it’s pristine beaches and well-preserved old town which is guarded by a defensive stone wall. 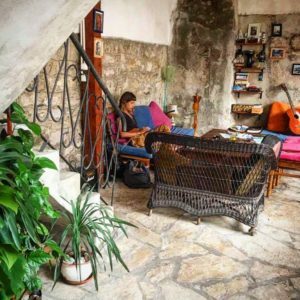 Situated smack bang in the middle of the old town beneath the towering stone walls lies Freedom Hostel Budva. 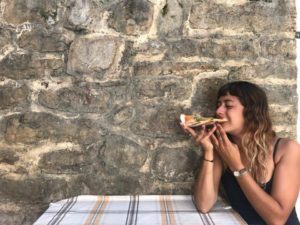 We found this gem after checking out which hostels were available for the Balkan Backpackers Discount, and we were not disappointed! One of the best selling points of Freedom Hostel is that it is so central. Staying in the old town means you’ll really get that medieval, cobble stoned charm (something that as an Australian I rarely get to experience!) Only being a 1 minute walk from the beach is a huge upside too when the weathers warm and the sweet ocean spray is calling you! The hostel itself is impressive, boasting a great chill out area where you can grab a couch and make a few friends over a couple of card games. 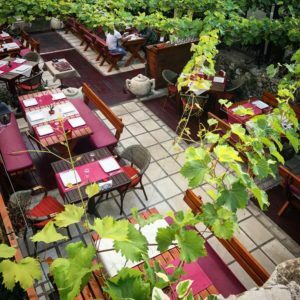 If you’re lucky, you may even get treated to a shot of Rakia, Montenegro’s local spirit. 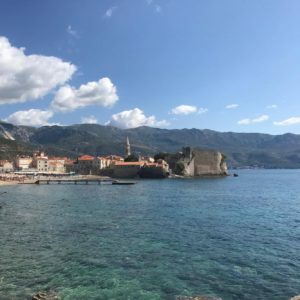 When you check in the friendly staff take full care of you, giving you a detailed map and all the information you need to see absolutely all of Budva! 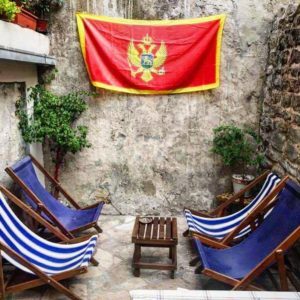 If you book by sending them an email and mentioning the Balkan Backpackers, they’ll give you a very generous 10% off, which is pretty great, but at approximately $12 AUD a night you really can’t go wrong however you book! If you want to keep your costs low, Freedom Hostel offers a delicious dinner for only 5 Euro, which includes beer! If you’d prefer to make your own culinary delights their kitchen is well stocked for your master creations too. I would steer clear of the main restaurants that line the stone walls, just a look at one of these menu’s might give you a mini heart attack. Instead, opt for one of the quaint places inside the cities walls. Juice Bar offers plenty of really quality dishes that won’t cost you an arm and a leg. They also have a good range of vegetarian options for my vego buddies out there. Definitely try their nachos, delicious. 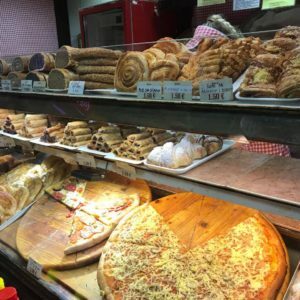 If you really want to stick to your tight budget, literally 10 steps from the Hostel entrance you’ll find a little whole in the wall joint offering large pizza slices for 2 Euro. We usually opted for one of these bad boys for lunch followed by a sit down dinner. Nightlife is a big deal in Budva. Unfortunately when we arrived the peak season was just ending so many of the clubs had closed down. When you arrive have a chat to the local staff and they’ll point you in the right direction of which places are open during your stay. The main strip of clubs is about a 5-10 minute walk from the Hostel so you’ll have no problem navigating home after a few too many rakia’s. 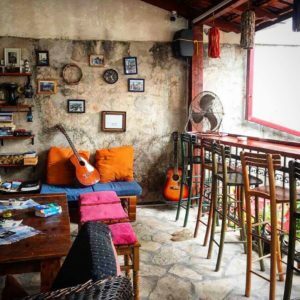 If bar hoping is more your style, 2 minutes from the Hostel you’ll find Casper Bar. This place is open air which provides a gorgeous atmosphere to enjoy a drink in the heart of the old town. There’s plenty more bars lining the beach, but these will set you back a pretty penny, so I’d suggest grabbing a 3 Euro bottle of wine or beer (1 Litre) and heading to the Hostel to meet some new friends. Firstly, the beach! 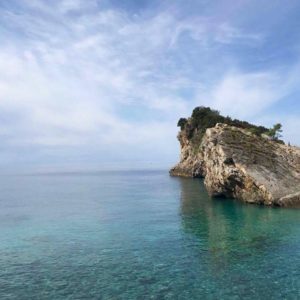 Budva has a gorgeous coastline for you to enjoy. A 5 minute walk from the Hostel (past the glorious Ballerina statue) you’ll find the main sand beach. 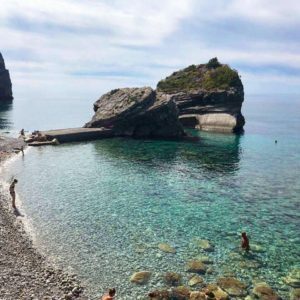 This place is perfect for a little swim or cliff jumping for the more adventurous souls out there. If you’re like me, beaches packed with tourists may not be your style. 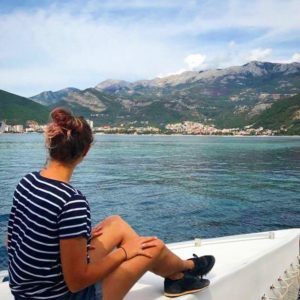 Instead, grab your hostel map and head to the dock to catch one of the ferries that’ll zip you across the water to Sveti Nikola for approximately 2 Euro. On this island you’ll find much more room to spread out and enjoy the sunshine without the hordes of tourists. The ferries leave extremely regularly so when you’ve had enough sun just jump on the next one to return to the main land! Keen for a little history? Head to the City Museum of Budva to learn about Montenegro through the archaeological displays. 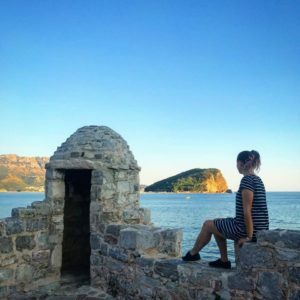 Here you can learn about the history of Budva through items like gold jewelry, glass vessels, furniture and traditional clothing. To get a good view over the sea, take a stroll around the walls of the old town. The entrance to the walls costs 1.50 Euro and is well worth it for the incredible instagraming opportunities. Interested in churches and cathedrals? You’re in luck! This is Europe after all. Close to the entrance of the city walls, you’ll find Saint Ivan church, The Holy Trinity Church and the Santa Maria. The little square that connects these churches is a great place to soak in the historical beauty of the city over a nice cappuccino. Next to the churches you can also find The Citadel which is a well preserved fortification that offers incredible views of the right side of the bay. It’ll cost you 2.50 Euro to enter but is a nice little piece of serenity if you want to escape the crowds of people bustling about the old town. Just a few steps from the Citadel you’ll find the Church of St. Sava. This area is perfect to catch the sunset while listening to one of the local buskers play their sweet music. 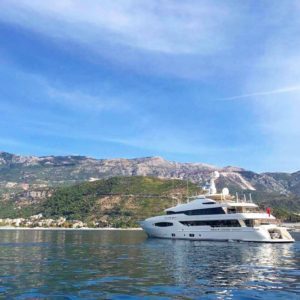 Let’s be honest though, you came to Budva to relax! 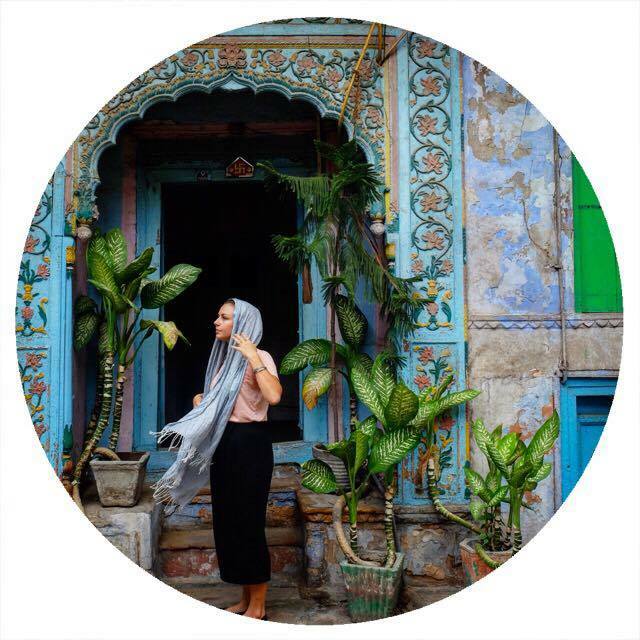 So forget about your watch and wander through the narrow streets of the old town. 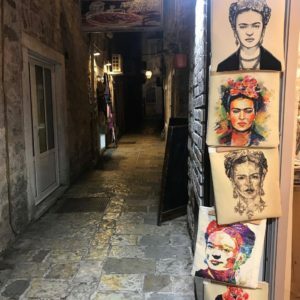 It’s the perfect place to find little souvenirs, from delicate silver jewelry to an awesome Frida Khalo tote bag (yes I brought one). You’ll also find a little 1 Euro store in case you want to buy something a bit more tacky like a fridge magnet for your mum. 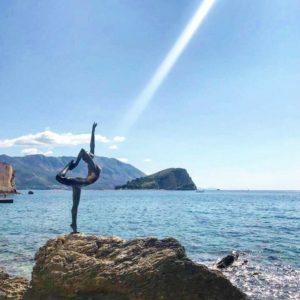 Been to Budva? What did you enjoy doing? 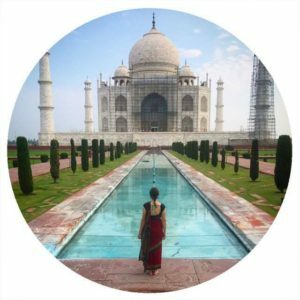 We’d love to hear from you, hit us up on Instagram with your thoughts!